How do I set up a Brother QL-820NWB printer to connect to a WiFi network using my Mac computer? Remove the printer from the box. You won’t need the Brother instruction book, just follow along with these steps. Assemble and insert the roll of badges into the printer. These are DK-2251 labels, and you will need this model number later when you need to reorder labels. Plug the black power cord into the printer and a power socket. 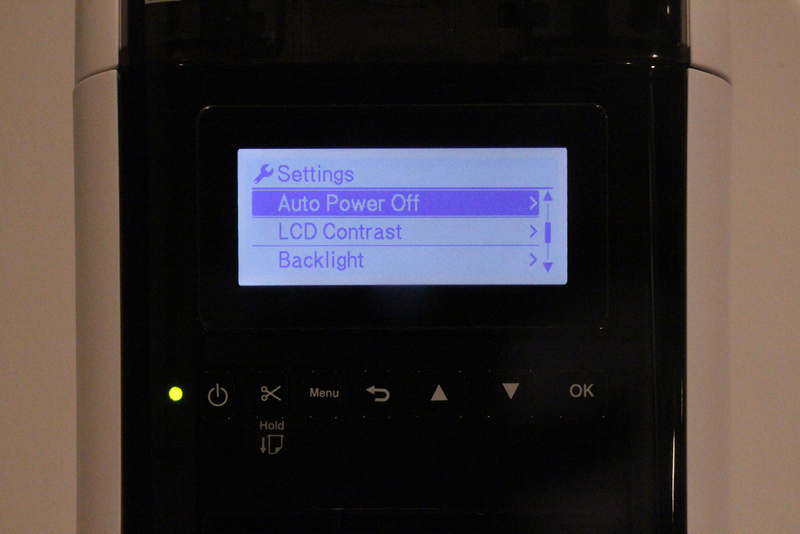 Press the power button to turn on the printer. Make sure the green status light comes on. Use the [▲], [▼] and [OK] buttons to set your language, the time and date as prompted. If you’re not already on the main screen, navigate there now using the [MENU] button. Use the [▲] and [▼] buttons to select Template Settings. 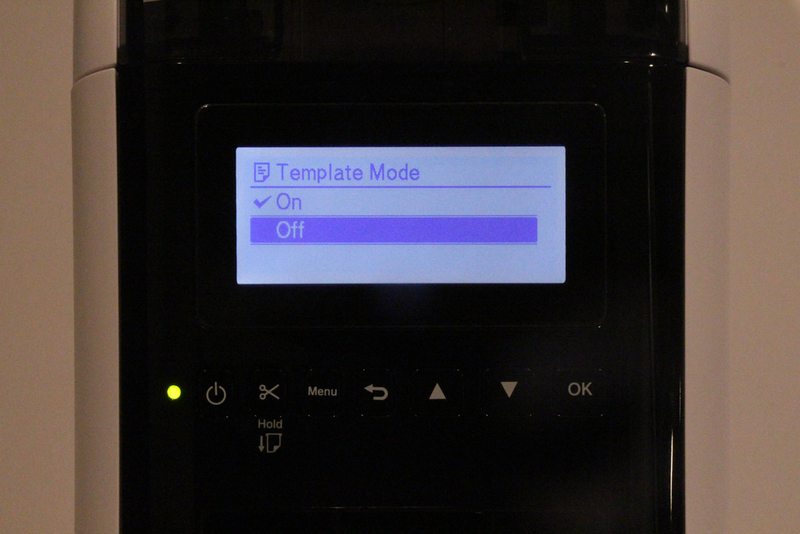 Set Template Mode to OFF. 8. If you’re not already on the main screen, navigate there now using [MENU] button. 9. Use the [▲] and [▼] buttons to select Settings. Select ‘Auto Power Off’ > Adapter to OFF. 10. Press the [Menu] button. 1. Use the [▲] and [▼] buttons to select WLAN > WLAN (On/Off) > On in the settings menu. Press [OK]. 2. Use the [▲] and [▼] buttons to select WLAN > Infra Manual Setting in the settings menu. Press [OK]. 3. Your printer will search for available Wi-Fi networks. Remember, your printer and iPad will need to be on the same network. 4. Use the [▲] and [▼] buttons to select your desired network. Press OK.
6. Look in the top right of the screen. Press [Menu] to switch between uppercase, lowercase, numbers and symbols. 7. Use the [▲] and [▼] buttons to select the correct characters. 8. If it connects, it will say “Connected!” Press [OK]. 9. If it does not connect, repeat steps 9 through 11. 10. Press the [OK] button to return to the main screen. You should see the Wi-Fi icon in the top right.